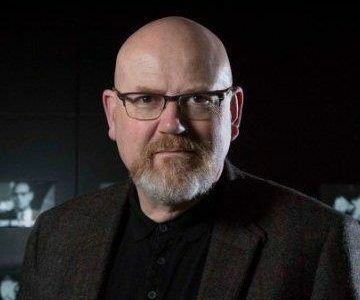 Professor of Creative and Digital Economy, Andrew Chitty, is the latest appointment to join Royal Holloway’s Television Research Centre. Professor Chitty commenced his new role in the department of Media Arts as the Arts and Humanities Research Council’s (AHRC) first ever Creative Economy Champion. He will sit within the department’s Television Research centre, bringing over thirty years of experience from the sector to help facilitate projects and knowledge exchange between the research centre and the industry. Professor Chitty has previously contributed to the Multiplatforming Public Service Broadcasting project led by Professor Bennett, penning a contribution to the Critical Studies in Television dossier in 2013. The main focus of Professor Chitty’s work will be on enhancing and extending the AHRC’s reach in the creative economy, emphasising the importance of arts and humanities research in generating impact across the sector, ranging from micro-businesses to large corporations. In addition to his AHRC role, Andrew will work 1 day a week in the Research centre contributing to its ongoing projects and the teaching of television and creative industries to Media Arts students.